Geocache hiders sometimes go through a great deal of planning to place their caches. As a result, they'd like to hear your feedback on whether you liked or disliked any aspect of the hide, or if you feel that some cache maintenance is required. Single word, acronym, or emoticon logs may be easier when you have a lot of caches to log, but it doesn't tell the hider or other finders anything about your adventure (or lack thereof) in finding the cache. Please keep this in mind when entering your log. You may or may not have stumbled upon this text in one of the cache-descriptions. Now what does this want to tell you? Cache Owners (COs) are placing caches in their own time at their own cost. Nobody gets paid for this … unfortunately the amount of professional geocachers is fairly limited and almost all of them are retired. So the only real rewarding currency for COs are your logs. Yes there are favourite points as well but not everyone uses them. So next time you find a cache which you really enjoyed, have the courtesy to reward your cache owner with a nice log. This will encourage them to place more caches like this and other cachers can read from your log that this will be most likely an enjoyable experience. On the other hand you can pick a good cache just by looking at the length of the logs. If they are mostly short, single words or abbreviations like TFTC, it’s probably not a memorable cache. If you see one lengthy story after the other, it’s worth to have a closer look. To give you an idea which is good and which is not, have a browse through the points below. By all means – there are not many rules about writing a log and we marked them with a *. Also nobody forces you to write a long and nice log. If you don’t feel like it because maybe the cache wasn’t that good, don’t do it. Write what you liked about this cache. Write what you didn’t liked about this cache and why. Tell about your hunt or why you went after this cache. If something funny or interesting but caching-unrelated happened along the way, write about it. Do not copy and paste logs or big parts of them. This is considered to be bad etiquette since good logs implies individual logs. The names of all your caching mates and the current weather aren’t that interesting – you’d be surprised how often this is a “log-filler”. The same thing goes for a bunch of abbreviations. and most of all: Try to go after caches where you actually want to write a log in the first place. That makes writing them much easier. If you need some more inspiration, read through Archie B1 & B2’s winning log of the 2014 Victorian Caching Awards on The Terrible Hollow. 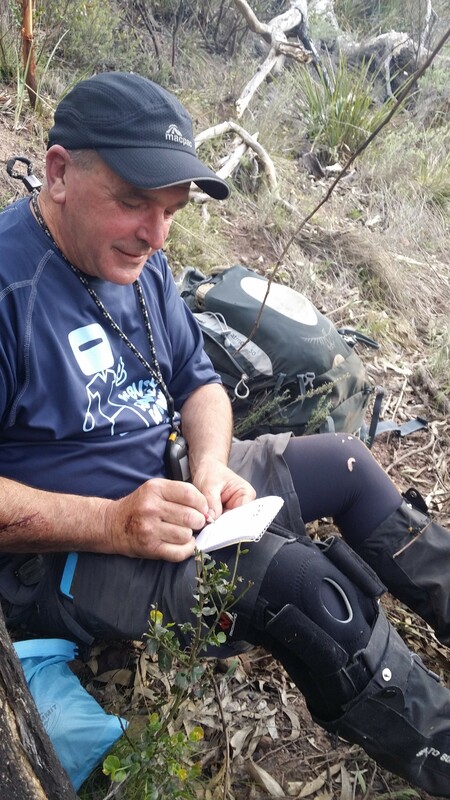 He had to put it into two logs and it is very a funny read … although he didn’t even find the cache! That said most of his logs are very entertaining.